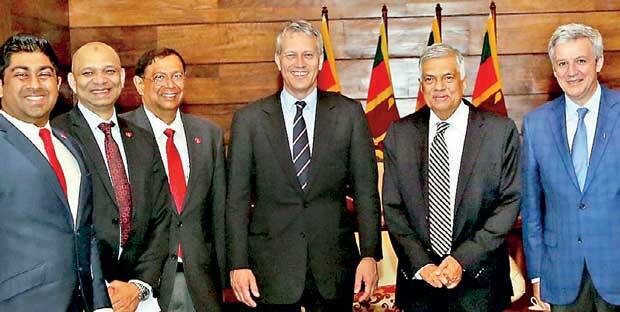 The Coca-Cola Company President/CEO James Quincey who met Prime Minister Ranil Wickremesinghe during his maiden visit to Sri Lanka recently has made a US $ 50 million commitment to Sri Lanka. “Affirming the company’s commitment to Sri Lanka, The Coca-Cola Company and its bottling partner, committed to contribute US $ 50 million into the ecosystem of the country over the next 5 years,” a media communiqué said. “Quincey’s visit to Sri Lanka, within his very first year of taking office reflects the company’s continued commitment to the country,” it added. Coca-Cola is one of the leading consumer brands in the world, serving almost all possible beverages ranging from the classic Coke to fruit beverages to dairy to tea and coffee. Coca-Cola has been operating in Sri Lanka since 1961. In Sri Lanka, responding to consumer demand, the company launched sugar-free options for all its sparkling and fruit flavoured beverages. While Coke Zero and Sprite Zero were launched in 2017,Fanta Orange, Fanta Portello, Fanta Cream Soda and Lion Ginger Beer, were introduced early this year providing consumers with more choice to enjoy the drinks’ natural flavors and a great, fruity taste without the sugar. James Quincey was appointed as President and Chief Executive Officer of The Coca-Cola Company on May 1, 2017. Prior to this, he served as the Company’s President and Chief Operating Officer, leading all of the company’s operating units worldwide. He joined The Coca- Cola Company in 1996, and has served in various roles of leadership in Latin America and Europe.